MUNICH (Bloomberg) -- Audi and Mercedes-Benz both outsold BMW in January, bumping the world's best-selling luxury car brand from its No. 1 position for the month. Audi took the top spot in January with global vehicle sales rising 10 percent to 137,700. Mercedes brand was No. 2 with a 14 percent gain to 125,865. BMW brand failed to keep pace with sales increasing 6.3 percent to 124,561. "This looks like a pretty significant decline in growth compared to Mercedes and Audi," said Juergen Pieper, a Frankfurt-based analyst with Bankhaus Metzler. "I think this will continue during the next few months." Both Mercedes and Audi have vowed to take the luxury sales crown by 2020. Last year Audi was No. 2 and Mercedes No. 3. 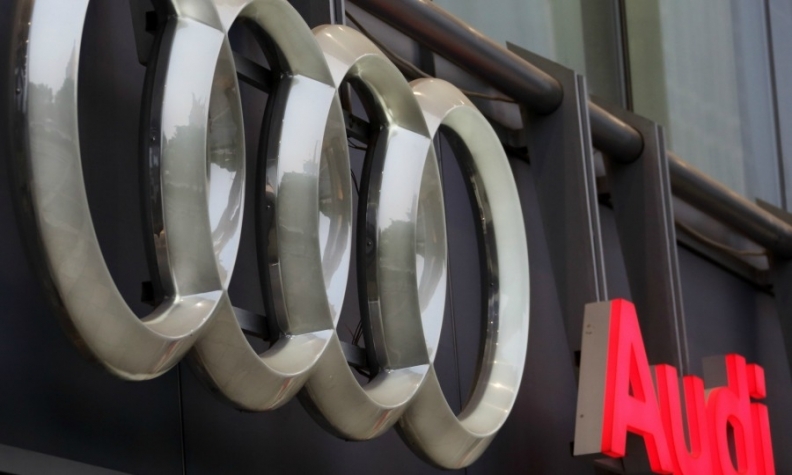 To underpin its effort, Audi plans to spend 24 billion euros ($27 billion) on new models and expanding production in the next five years. Mercedes this year is rolling out the new GLE coupe crossover to challenge the BMW X6 as the Daimler unit refreshes most of its SUV lineup. BMW, the biggest maker of luxury cars since 2005, is under increasing pressure as models such as the 7-series sedan and X3 SUV age. The company struggled chiefly in China, where its dealers halted orders over a dispute about sales targets and bonuses. Still, BMW plans to fight back. It's targeting a fifth consecutive record in annual deliveries backed by new offerings including a convertible version of the 2-series compact and an upgraded X6. "There are a number of very exciting model launches coming up this year," Ian Robertson, BMW's sales chief, said today in a statement. "We are aiming for further growth in 2015, despite still challenging economic conditions in some markets." Sales of BMW Group vehicles that include the Mini and Rolls-Royce brands rose 7 percent in January to 142,154. Demand for Mini-branded vehicles rose 12 percent to 17,373 compared with the same period last year. In the U.S., where luxury-brand sales are surging, Mercedes took the early 2015 lead with 24,619 sales in January (up 8.9 percent). Lexus was a close second with 23,131 sales (up 32 percent), and BMW was third with 18,981 (up 4 percent). Audi was sixth with 11,541 sales (14 percent). The overall U.S. luxury market was up 12 percent for the month.